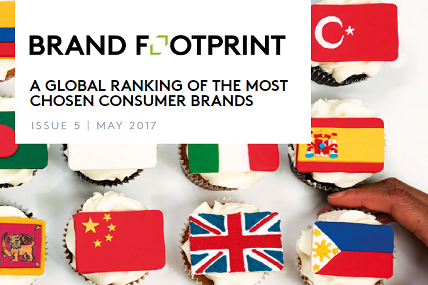 Kantar Worldpanel’s fifth annual Brand Footprint report is published today, revealing the top 10 FMCG brand owners and the top 10 brands in Health & Beauty, Homecare, Food and Beverages being bought by the most consumers, the most often in Urban 4 Cities (Ho Chi Minh City, Ha Noi, Da Nang and Can Tho) and Rural Vietnam. Global brands hold their dominance against local counterparts in Health & Beauty market – Almost all Top 10 brands in this sector are foreign brands with strong brand awareness in many countries as well as Vietnam – the local market. 5 out of top 10 most chosen brands in both Urban 4 cities and Rural including P/S, Lifebuoy, Sunsilk, Clear, Dove are owned by Unilever – a global giant FMCG manufacturer. The common points among these Unilever’s brands are building a wide distribution network, spending millions of dollars annually on innovation/ advertising, and executing a lot of marketing campaigns from traditional to digital platforms for Vietnamese families such as P/S “Candy House”, Dove “Beauty House of Orchid”, Lifebuoy “The Voice Kids” sponsor, etc.…This way helps these brands boost their brand awareness strongly. P/S secures the 1st position in both the Urban and Rural ranking and has entered the bathroom of over 80% of Vietnamese shoppers. While Colgate is the only Health & Beauty brand among the top risers 2016 in Urban areas, leading the CRP growth among top 10 most chosen brands in Health & Beauty sector. Noticeably, though not being among the top 10 Rural ranking, Thái Dương and Dạ Hương – the only two local players are emerging as the fastest growing brands in this sector. Beside Health & Beauty sector, Unilever strengthens its power in Non-Food sector by owning the top 3 Home Care brands for the fifth consecutive year. Sunlight, Omo and Comfort have come into the home of more than half of Vietnamese families in both Urban 4 cities and Rural and leave other brands in the Home Care ranking far behind in terms of CRPs. Sunlight gains the lead in both Urban and Rural ranking for the first time. While Comfort - the only Home Care brand among top recruiters is doing well in widening its reach to Rural families. E’mos and Hà Nội – two brands of paper products made their first entry into the Top 10 Urban 4 cities. While E’mos – a Unicharm-owned paper product climbed 2 ranks and grew its CRPs by 7% last year, Hà Nội – a local brand of paper products made an outstanding movement by jumping up 9 places and hitting an impressive growth of 60% in CPRs. Though 2016 was a tough year in Rural and consumers cut their spending on household categories, Thanh Hà – another Vietnamese brand of paper product market still increases its CRPs by 8%, and leads the CRP growth in the Rural ranking. In addition, some home-grown players not being listed among top 10 sustain to grow very fast at double-digit rates such as Việt Nhật, An An, Siusop… Hence, there are some challenges for international Home Care players to compete in the Rural market. Vietnamese brands continue to outperform their foreign competitors in Food market, especially in Rural Vietnam. Two out of Top 3 (Vinamilk, Nam Ngư) in Urban 4 cities and the Top 3 in the Rural ranking are owned by local manufacturers. However, the market competition is expected to heat up as foreign players are gaining ground, rising to 55% value share in Urban 4 cities and 50% value share in Rural. With extremely high CRPs, Vinamilk and Nam Ngư remain the most chosen Food brands in Urban 4 cities and Rural respectively. 8 in 10 Vietnamese households have purchased these local stars at least once a year thanks to their strong brand awareness and large distribution across nationwide. Among top rising brands 2016 – Ông Thọ from Vinamilk is a new comer to the Top 10 Rural ranking by gaining 2 spots and achieving a robust growth of 14% in CPRs. The condensed milk brand also improves its position to stay in 6th place in the Urban ranking, partly driven by more usage occasions. Moving up one place, 3 Miền – Uniben’s main brand won the 2nd place in the Rural ranking. The brand of instant noodle market was chosen more than 100 million times by 63% of Rural households, enjoying the strongest growth of 17% among Top 10 Food brands. 3 Miền made a good performance by continuously attracting nearly 1.5 million new Rural shoppers and shined bright as the number one brand adding most shoppers last year. Milo has earned its 3rd place in the Urban ranking as more and more Urban shoppers chose the brand last year. 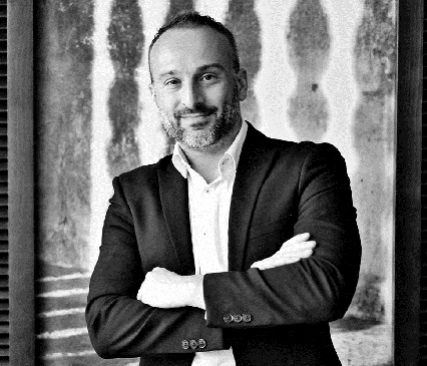 Moreover, in Rural - a promising market, the Nestlé-owned brand is the only global one growing rapidly as the 2nd rising star in terms of CRPs and jumps up 3 ranks in the Beverage ranking. Capturing the increasing trends of Health & Wellness (Nutrition) and Convenience; actively and successfully innovating and sponsoring many sport activities are main drivers that help Milo build up its brand image among key targets. Climbing 8 positions, Tiger registered its name in the Urban 4 cities Top 10 club for the first time. The beer brand stands out from the Urban ranking as the top riser in 2016. Tiger posts a soaring growth of 54% and broadens its market penetration in Urban 4 cities by adding over 130 thousand incremental shoppers. This is an evidence for the rising trend of in-home indulgence among Urban consumers. In Rural, Saigon Lager won nearly half a million new shoppers during last year, the brand was named among Top 3 recruiters and its ranking rose from number 7 to number 5 in the top 10 most chosen Beverage brands. Kantar Worldpanel’s annual Brand Footprint study is based on research from 73 percent of the global population; a total of one billion households in 43 countries across five continents—covering 75 percent of the global GDP. As part of the study, Kantar Worldpanel tracks 200 FMCG categories around the world across Beverages, Food, Health and Beauty and Home Care. This year’s ranking analysed 15,300 brands in the 12 months to November 2016. It is set apart from other brand rankings by providing information on real consumer behaviour rather than attitude. Consumer Reach Points (CRPs) form the basis of the ranking. An innovative metric that measures how many households around the world are buying a brand (penetration) and how often (frequency), it provides a true representation of shopper choice. This unique calculation of penetration and frequency helps FMCG manufacturers to clearly understand their Vietnam and global reach in terms of actual basket reach and provides a vital guide on which regions present the biggest opportunities. To access the full global, regional, country and sector rankings and a complete index of the brands included in the Global Top 50, please visit www.kantarworldpanel.com/brand-footprint-ranking. The Brand Footprint publication is a Kantar Worldpanel initiative, and the ranking is created in collaboration with IMRB in Bangladesh and Sri Lanka, with GFK in Germany, Poland, Russia, Italy and Turkey and with IRI in the US.